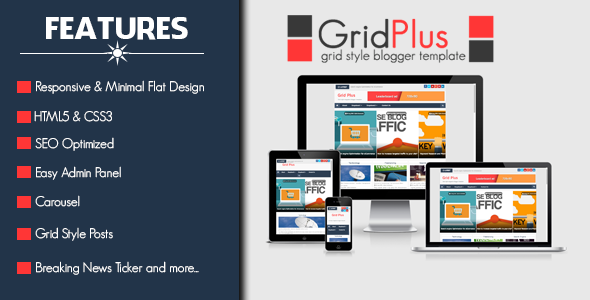 GridPlus is responsive grid style magazine blogger template. If you wanna make a professional magazine blog, then GridPlus will perfect choice. 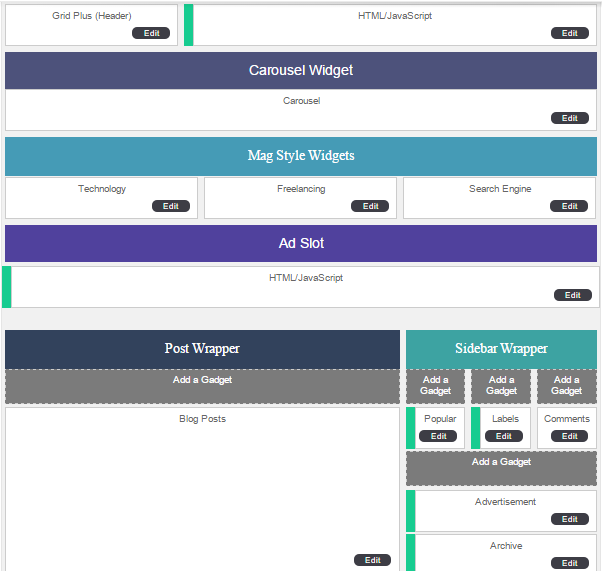 This template have some awesome features like, Recent Post Carousel, Mag style home layout box, News Ticker etc. GridPlus is 100% clean, SEO optimized and fully responsive design. Its compatible with many devices. First time we use dynamic and powerful admin panel in this template. You should easily customize and setup your blog. GridPlus have 3 magazine style home layout box. You can display specific label post on homepage with magazine style. Recent post Carousel is also awesome. Recent post or specific label post, anything you can use on carousel. 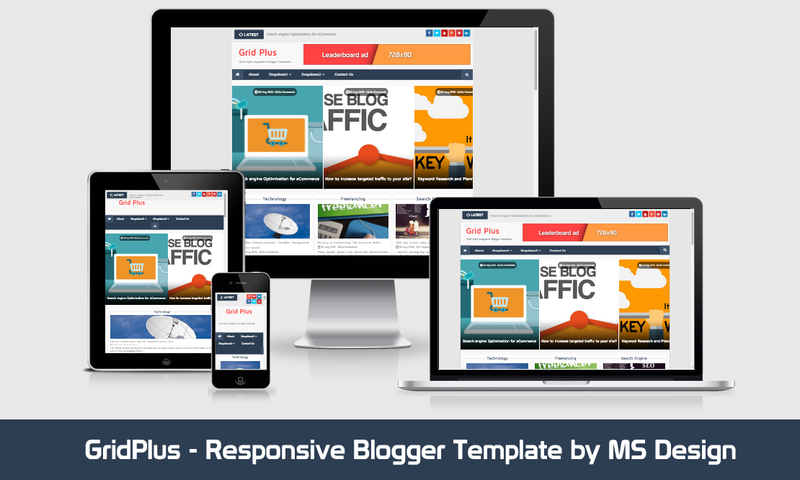 GridPlus template is supper fast and fully SEO Optimized blogger template up to 100% SEO score and it is fully responsive blogspot blogger template compatible with all mobile device. You may use this template any kind of magazine blog. By using this template your blog can get a awesome look. This is totally free blogger template but premium version is also available. GridPlus is fully responsive, that's why it is compatible with all devices. Its easily and auto compatible for all kind of mobile device. You have to no need adding any other extra script or code for responsive. Because its have already. It has easy, dynamic and powerful admin panel for better customization. First time we use powerful and dynamic easy blogger admin panel. Its easy to customize anything. Get this free version and test our features. Its free for you. Great work, once again ! Hello...This theme is grate ... I would like to buy this theme but the Share this Post social icons are not visible ...Please let me know how to fix that ...? After purchase the template, you will got premium support all times. i want to try this theme! Hey, I Like it this theme. How can i pay with payoneer mastercard?